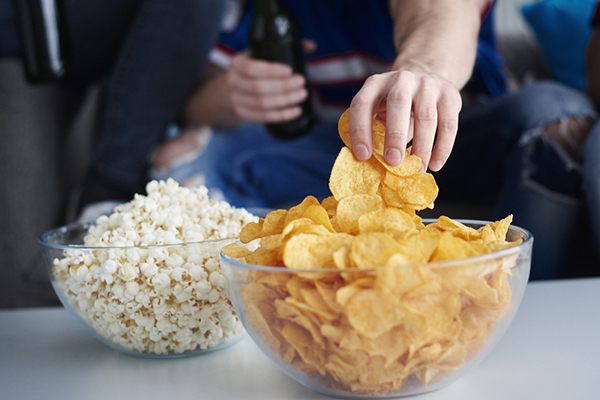 Snacks get a bad rap: For most people, “snacking” means eating a sleeve of cookies while you Netflix or mindlessly munch on chips — while cooking dinner. And if you’re trying to lose weight, you might assume snacks are the kryptonite to your healthy eating plan — but they don’t have to be. Healthy snacking can actually help you ward off cravings and avoid overeating at mealtime. And research has shown that people who snack tend to eat a more nutrient-dense diet, including more fruit and whole grains. The key is to adopt healthy snack habits so you can enjoy those between-meal nibbles without worrying that they’ll sabotage your weight-loss efforts. 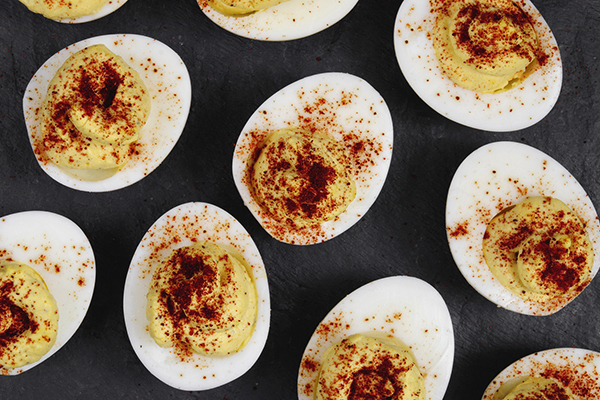 Here’s what you need to know about snacking — the right way. Can Snacks Fit Into My Healthy Eating Plan? 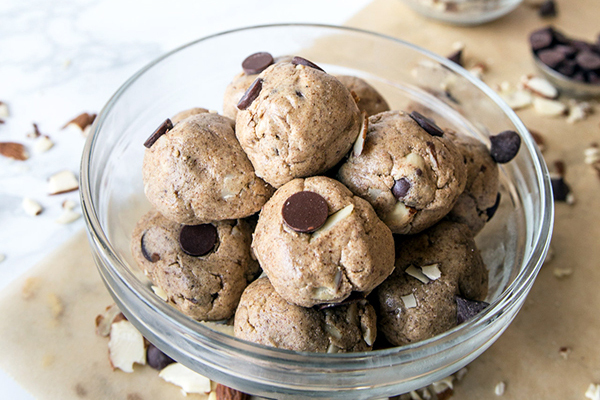 Eat nutrient-rich snacks that’ll keep you feeling satiated until your next meal — like apple slices with a tablespoon of peanut butter, carrot sticks with 2 tablespoons of hummus, or homemade energy balls. When a snack craving strikes, your first instinct probably isn’t to roast a tray of chickpeas or whip up a yogurt parfait. That’s why it’s important to plan your snacks in advance when you’re putting together your meal plan for the week, so you’re not tempted to grab the first thing you see when you’re starving — which is usually a prepackaged, processed “convenience” food. Including snacks in your meal plan is especially helpful if you’re following a nutrition program like Ultimate Portion Fix. Snacking on a hard-boiled egg or a handful of almonds can be an easy way to stave off hunger and add some extra protein into your diet. But what happens when you’re tempted to reach for something way less virtuous, like a pint of salted caramel ice cream? These tips can help you handle your cravings and eat more mindfully. Are you eating because you’re bored or stressed? Are you grabbing a sugary latte on your morning commute because that’s what you always do? Make sure you’re not just giving in to mindless snack habits. “Hunger drives us to make impulsive choices based on what is most convenient, not what is most healthy,” Greenfield says. It takes time for your body to register fullness, so look for snacks you can’t gobble down too quickly. “Foods like apples and orange take work to eat — peeling them and eating around the core — which will allow the satiety to catch up,” says Scott Schreiber, D.C., L.D.N., C.N.S., a chiropractic physician and licensed dietitian/nutritionist in Delaware. Give your willpower a break. If there’s a snack you have a hard time resisting, resist it once — at the grocery store! — rather than having to resist it every time you walk past the fridge or pantry. If your tummy is a’rumblin’ and you need to feed it fast, a BEACHBAR is just the ticket: This crunchy, chewy snack bar is a good source of protein (10 grams) and just 150 calories — perfect for a wholesome afternoon snack. “Fat-free” or “sugar- free” snacks. For starters, there’s no need to cut fat from your diet. And as Greenfield notes, “usually when fat is removed, it’s replaced with sugar” or other additives that aren’t doing your body any favors. Meanwhile, sugar-free snacks are usually loaded with artificial sweeteners, which have been linked to weight gain, cautions Dr. Schreiber. 100-calorie snack packs. The built-in portion control can be helpful if you’re seriously craving chips, crackers, or candy. But it’s still processed food, so don’t make these your daily go-to snack. “It’s better to get high-quality foods that will fill you up, rather than low-calorie foods filled with sugar and hydrogenated oils,” Greenfield says. Unlimited healthy foods. Even the healthiest snacks can sabotage your diet if you don’t pay attention to portions — so rather than sitting down with a bowl of veggies and a tub of hummus, plate a serving so you don’t accidentally consume a few hundred extra calories.